We lucked out in Ayutthaya. We arrived on the weekend and they were holding their annual World Heritage Fair celebrating their status as a UNESCO World Heritage site. 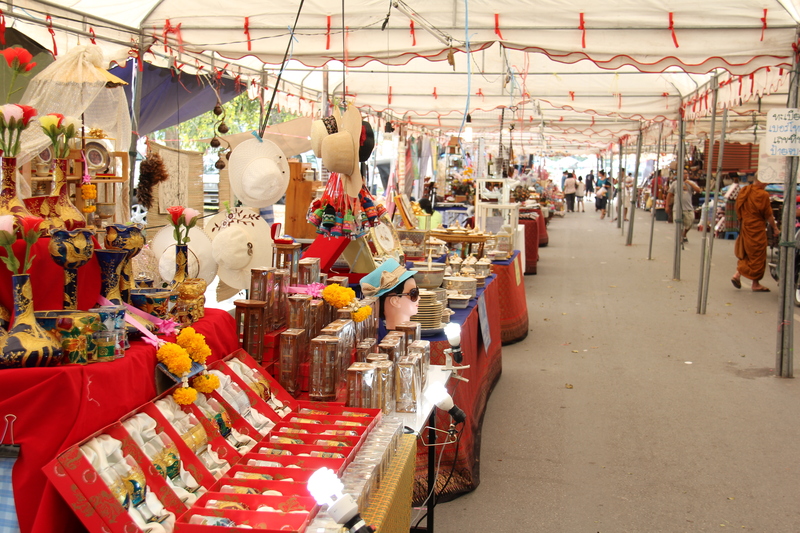 The fair is usually held in December, but due to the major flooding that devastated Ayutthaya it was postponed until we arrived! The street we stayed on was lined up with market stalls from all parts of Thailand and they were selling handmade goods and food. Later in the evening there was a ridiculously huge night market where you could have bought anything you would ever need for the rest of your life. We also got to witness some while we were there! The next day we ventured to the historical park. It was beautiful. We hit up all the wats and worked up a sweat. It’s recommended to do the park by bicycle, but we found it was definitely walkable and riding a bicycle in 35 degree weather is not something that sounded appealing. Most of the temples have a 50B/$1.60 admission fee. Wat Phra Si Sanphet is the largest temple. The temple was once used for royal religious ceremonies and is located on the former grounds of the royal palace. It was destroyed after the Burmese set fire to a giant 16 metre gold-covered Buddha in order to melt the gold down. Tempted by the allure of a swimming pool, we stayed at Sherwood House (420B, $13.60 per night for a double with air-con). We had a nice room with a balcony and lots of windows, and the pool was a delightful touch especially after a long day of walking the ruins. To get to Ayutthaya from Kanchanaburi take a local bus from the main bus station to Suphanburi (2 hours, 50B/$1.60) and then take another local bus which should cost you about 40B. 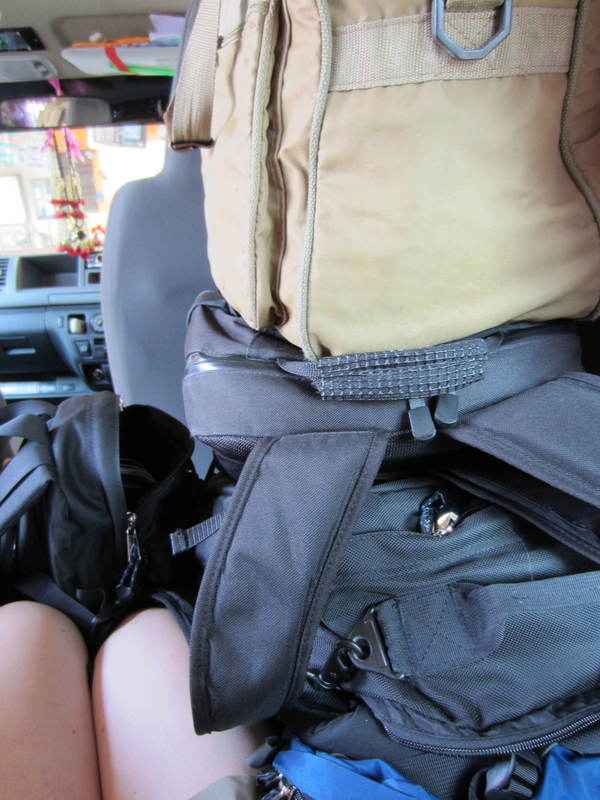 We took an air-conditioned minibus from Suphanburi (with questionable amounts of leg room) for 80B/$2.60. Our next stop is Sukhothai!